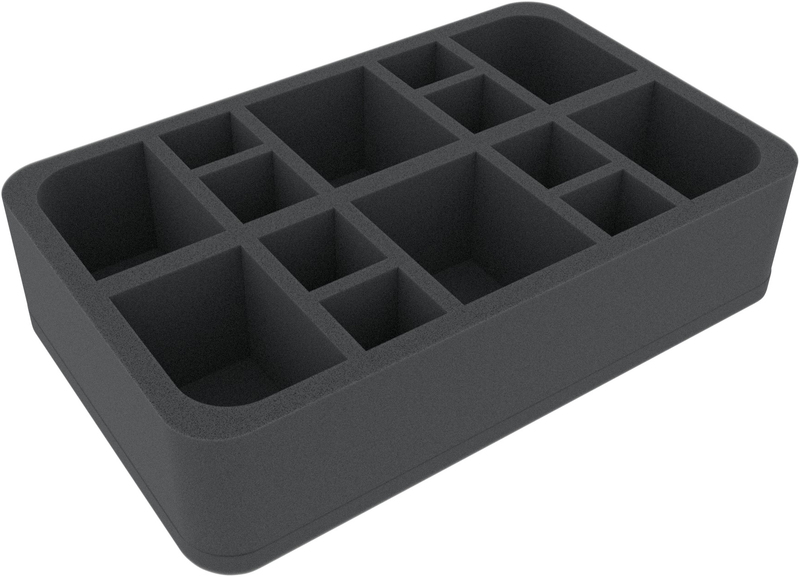 This foam tray features 14 compartments of different sizes. The tray has the following dimensions: 275 mm x 172.5 mm x 65 mm. 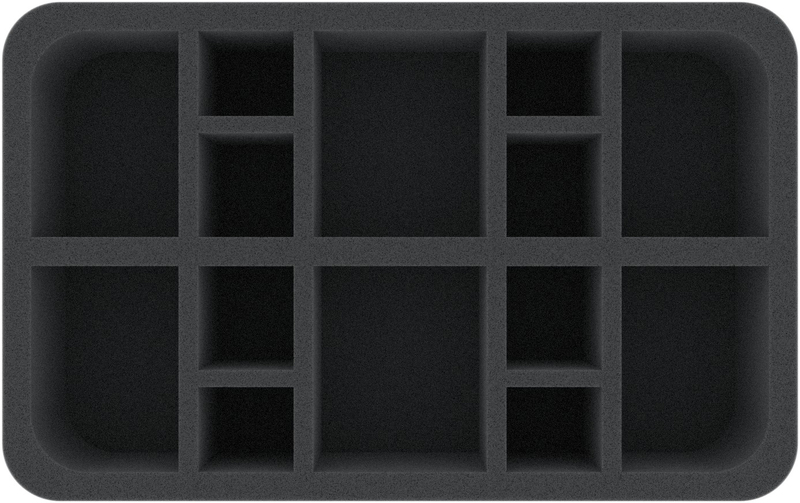 Since the tray comes with a 10 mm base, the effective usable height of the compartments is: 65 mm - 10 mm = 55 mm.